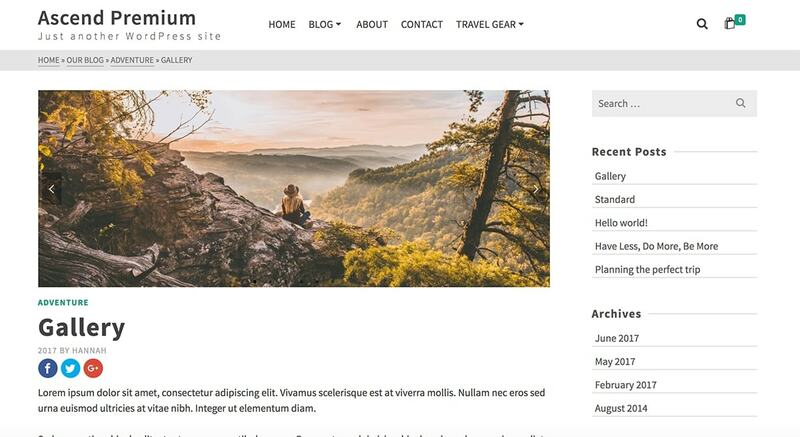 From your WordPress admin panel, navigate to Posts > Add New. Give your post a title, and choose a format from the Format tab on the right. 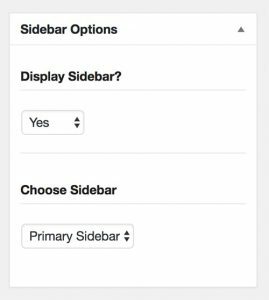 Choose whether or not you would like to display a sidebar on your post (otherwise, will pull from default settings set in Theme Options > Blog Settings). Scroll down to Standard Post Options and choose how you would like your post to display on post archive pages. Note* If set to Portrait Image or Landscape Image, display will pull from the post’s Featured Image. Scroll down to Gallery Post Options and choose what you would like to display as your post head content. 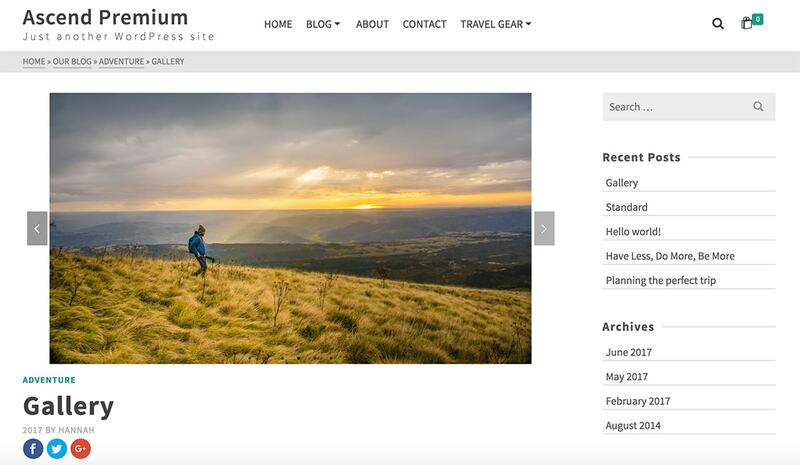 *Note Gallery Post Default settings can be set in Theme Options > Blog Settings. 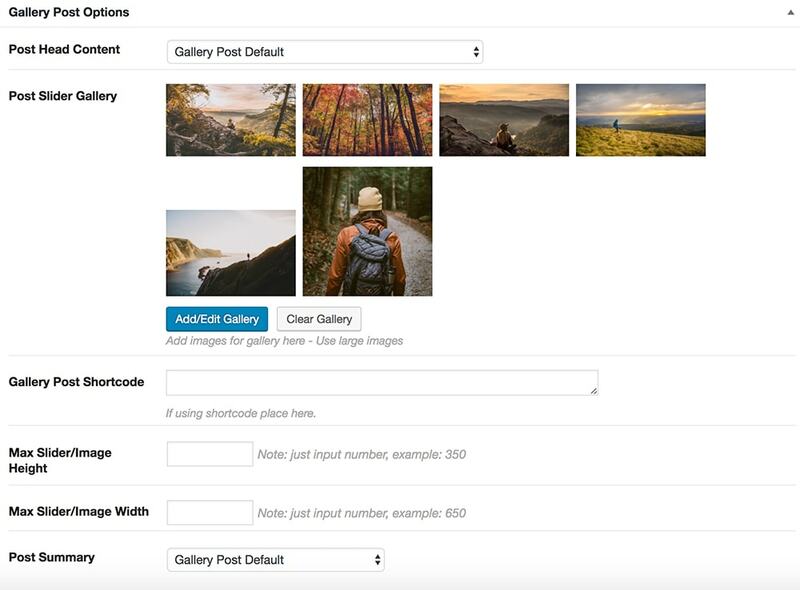 Upload images to your Post Slider Gallery (unless using a shortcode gallery, in which case add the shortcode to the Gallery Post Shortcode tab). 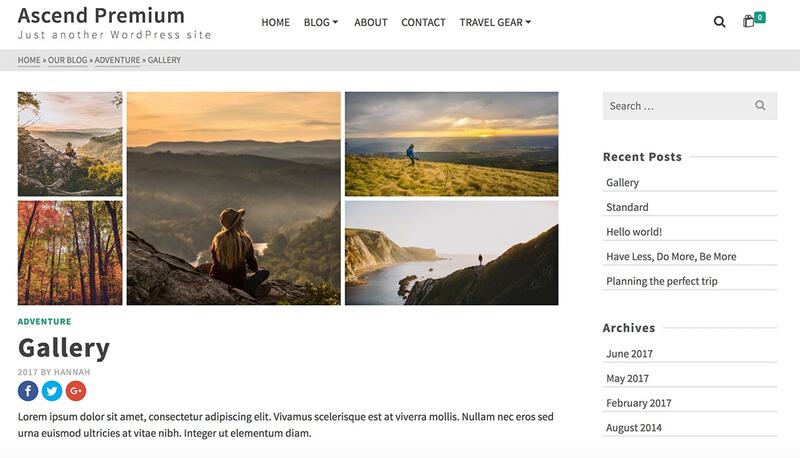 Set a max height and width for your images. 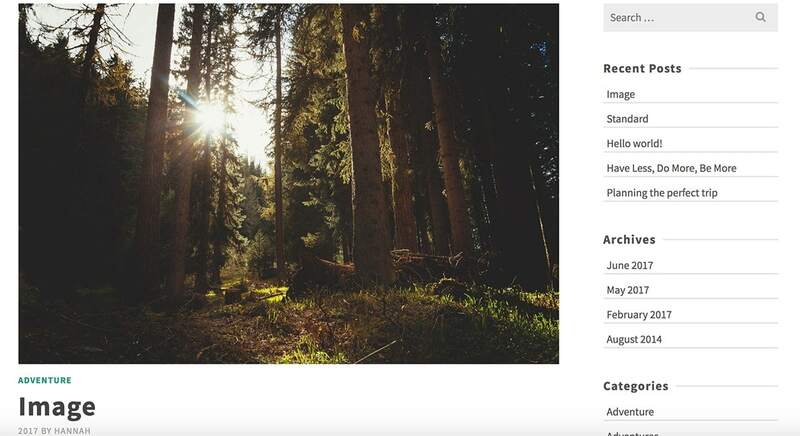 Choose how you would like your post to display on archive pages. Scroll down to Image Post Options and choose whether or not you would like an image to display as the head content of your post (image will pull from your featured image set in the post). 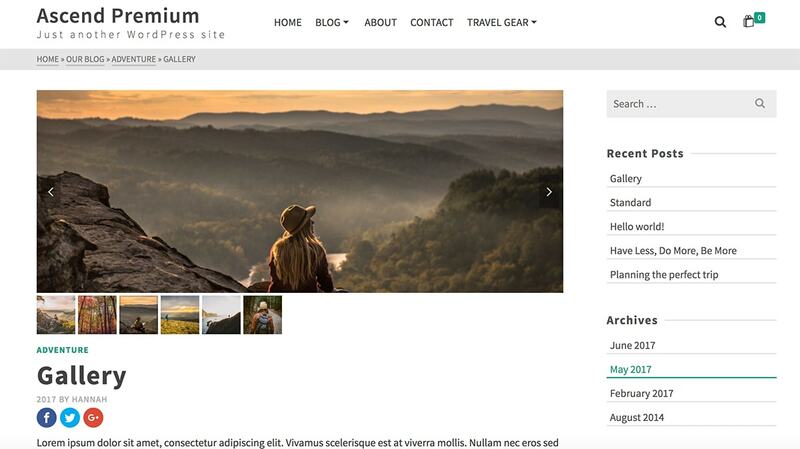 *Note Image Post default settings can be set in Theme Options > Blog Settings. Set a max height and width for your image. Scroll down to Video Post Options and choose whether or not you would like a video to display as the head content of your post. *Note Video Post default settings can be set in Theme Options > Blog Settings. Copy your embedded video and paste it into the Video post embed tab. 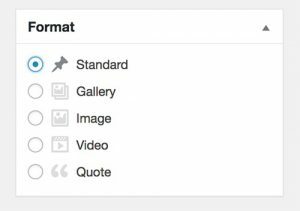 Set a meta title and description for your video so search engines can more easily find it. Set a max width for your video. Choose how you would like your post to display on archive pages (image will pull from featured image set in the post). Scroll down to Quote Post Options and type the author of your quote in the tab.